This novel was a complicated, fast-read that was all very intriguing, mysterious, and extremely thought out. In The Lying Game, Emma Paxton sees a video on the internet of a girl who looks just like her, being strangled and maybe even killed. Curious, Emma heads to Arizona and finds herself stepping into her long-lost, dead, twin sister Sutton’s life. The novel is narrated by Sutton, (who doesn’t remember much of her life), as she watches Emma attempt to find out who murdered her. Sutton watches Emma’s every move, observing her activities and reading her thoughts. Sutton cannot interact with the living, so she acts as a first person observer, interjecting her voice here and there. 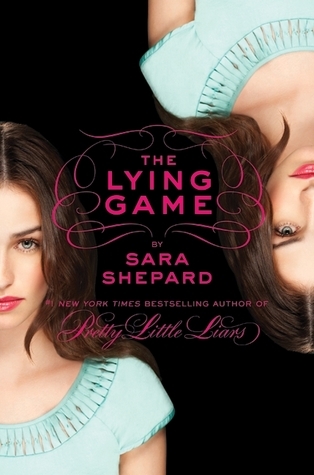 Emma discovers many things about Sutton’s life, including the fact that Sutton and her friends invented “The Lying Game”, a game where they pull cruel and dangerous pranks on various people for fun, maybe even getting some people mad enough to kill Sutton as an act of revenge. The ending was a cliff-hanger, leaving readers waiting for the second book, Never Have I Ever, to come out on July 26, 2010!